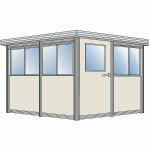 PortaFab offers 19 standard prefabricated booths ranging in size from 3' x 4' to 8' x 16' with a choice of three roof styles, sliding or winging doors and many other options. Standard aluminum models are typically shipped within 4 to 6 weeks and can be operating within minutes of delivery. 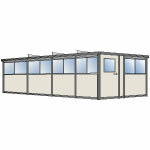 Listed below are our 19 standard sizes. 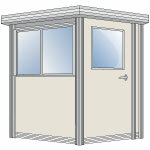 Please click on "details" to learn more about each unit. 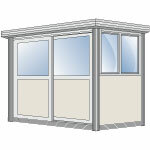 You can also download drawings by clicking on the links to the right. 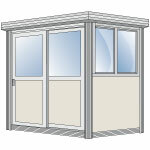 Booths can also be customized. 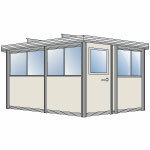 Please view our standard booth options or fill out our booth quote form and a PortaFab representative will contact you for a customized price quote. 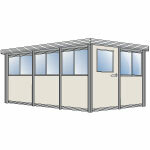 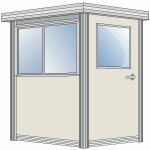 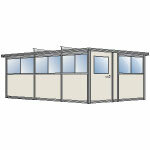 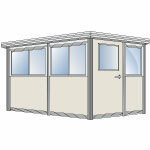 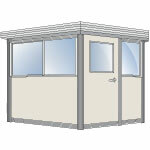 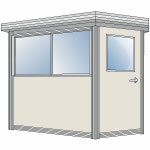 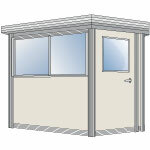 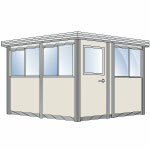 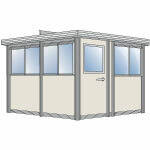 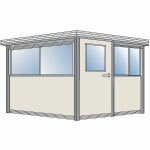 You can also visit our online booth configurator for immediate pricing.